Many potential pet owners have fallen in love with the dog breeds Shih Tzu. They are affectionate, playful, friendly, a bit spunky at times, adorable and most of all an excellent choice as a companion dog or family dog. You may already have your heart set on adopting a Shih Tzu and might wonder where to begin. There are a few steps you will want to take on your journey to adopting your lovable Shih Tzu. • Locate your Local Shih Tzu Rescue Shelter – There are plenty of rescue shelters within the United States, but did you know that there ones that are breed specific? This means that the entire shelter is full of dogs that are the Shih Tzu breed only. The staff is usually highly educated regarding the breed and finds ways to comfortably house the dogs and provide them with play time, healthy diets and exercise that is required for their specific breed. 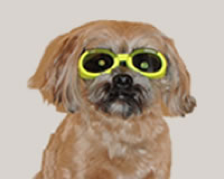 You can choose to search online for a Shih Tzu rescue shelter close to your area. • Set an Appointment – Once you have located a Shih Tzu rescue shelter, you will want to call them to make an appointment if necessary to visit the facility. • Visit the Location – Arrive on-time for your appointment at the shelter. Bring a long a small notebook so you can write down a few notes. Chances are you are going to fall in love with many of the Shih Tzu’s at the location. You will want to ask to interact with each one until you find the one that truly captures your heart. • Ask Questions – Once you have found your special Shih Tzu, inquire about the adoption process and any fees or rules that is associated with the adoption. • Apply – Now is your chance to become a pet owner. Fill out the application form and adhere to all other rules set by the rescue center. Once you have completed the adoption process you will be notified by either phone, email or in person when you visit the facility. • Prepare to Bring Your Shih Tzu Home – In the beginning you will need basic necessities for your Shih Tzu dog. They love to cuddle and play so you will definitely need to purchase a dog bed, toys, food and water dishes, a harness leash, dog crate and a collar. Many new pet parents purchase these basic items and once their Shih Tzu is home they continue to purchase more necessities as time goes forward. • Bring your Shih Tzu Home – The Shih Tzu rescue shelter will most likely provide you with detailed information on how to care for this extraordinary dog breed. They will also set up a day and time for you to bring your dog home, if not, immediately. Always visit the rescue facility and speak to the staff. Ask as many questions as you need, so that you have a clear understanding of the rules and adoption process. In addition, if you like, you can make donations to the Shih Tzu rescue center to help them care for the new arrivals and those who already live there. Many potential pet owners have fallen in love with the dog breeds Shih Tzu. They are affectionate, playful, friendly, a bit spunky at times, adorable and most of all an excellent choice as a companion dog or family dog.